Technically this is a McDonald’s Happy Meal Toy that’s been converted into a Christmas ornament but I think it’s a lovely idea. 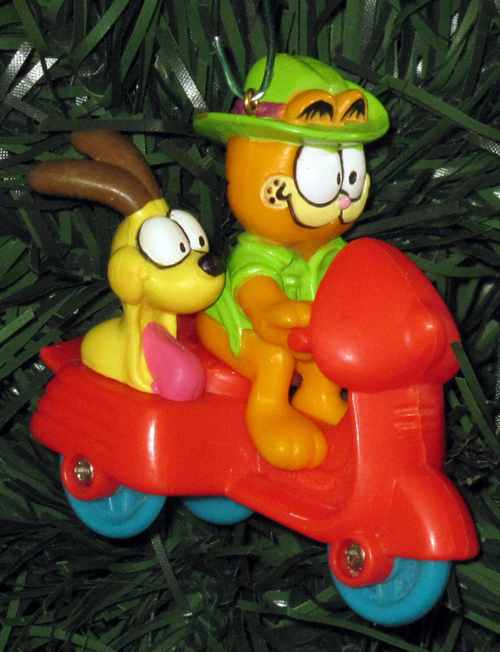 This entry was posted in Holiday, Models, Figurines, Toys and tagged garfield, Honda, mcdonalds happy meal toy, odie, scooter, sidecar, vespa by Tracy. Bookmark the permalink.